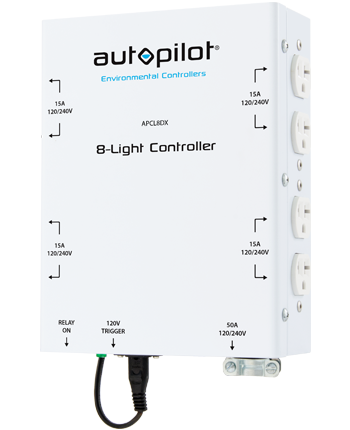 Autopilot FUEL Lighting Controllers represent the latest in professional lighting control. 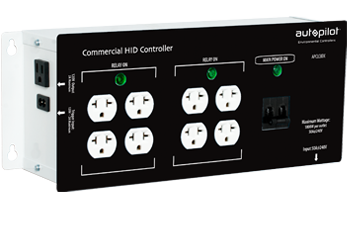 Available in models for 8, 12, 16, and 24 lights, FUEL controllers feature UL-listed power outlets, industrial-grade circuit breakers, and a highly durable powder-coated finish. 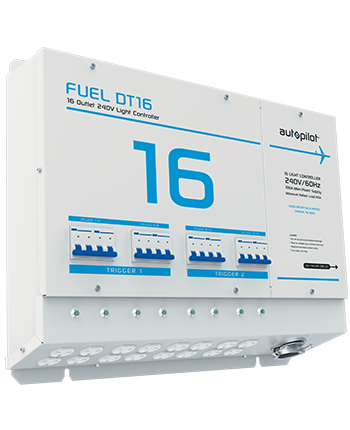 Commercial grade and ETL-listed (X-Plug models excluded), FUEL controllers are ready for use in today’s professional production environments, allowing precise electrical control of your HID lighting when used in conjunction with analog timers or environmental controllers. 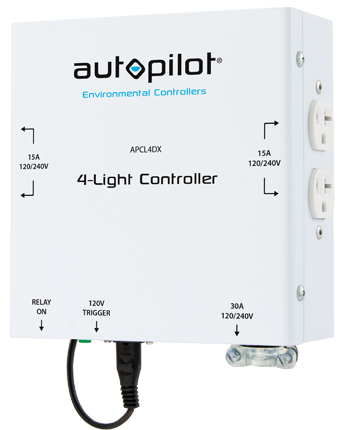 The commercial twelve light controller features an integrated time delay to "soft start" each bank of 4 lights, reducing the start-up load. 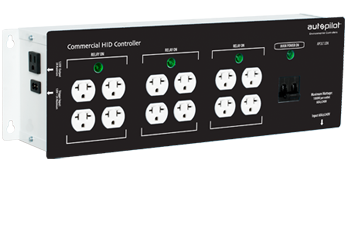 External breakers allow the user to easily shut down power to the attached equipment. 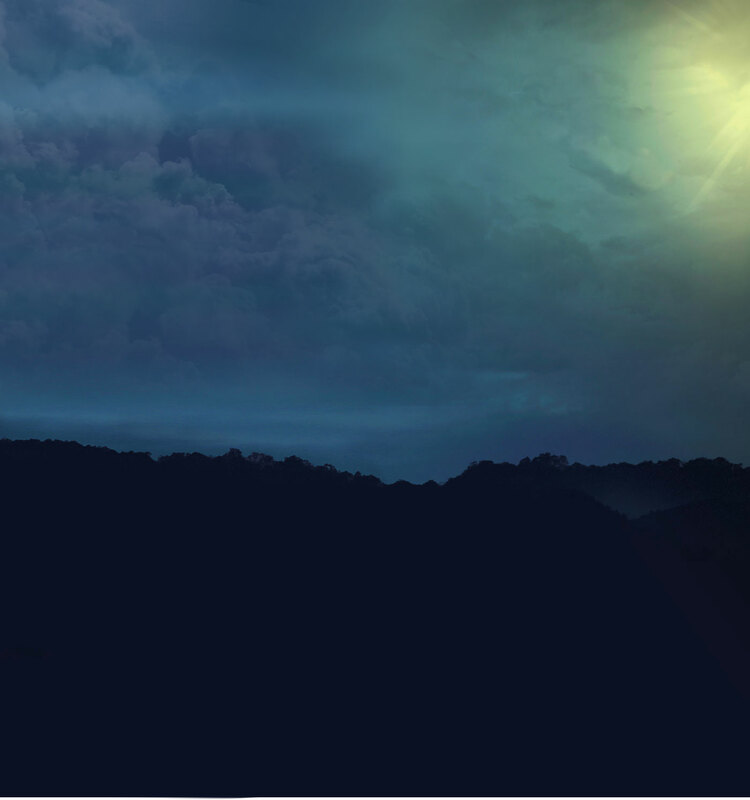 The commercial light controller is made from steel and built to last. 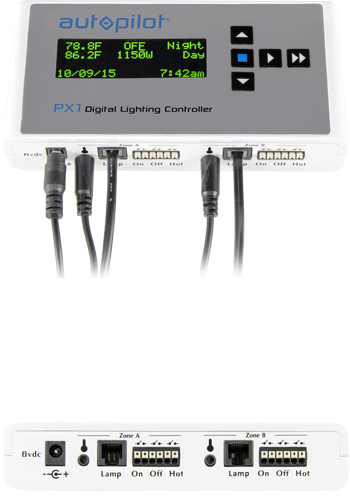 The commercial eight light controller features an integrated time delay to "soft start" each bank of 4 lights, reducing the start-up load. External breakers allow the user to easily shut down power to the attached equipment. The commercial light controller is made from steel and built to last.